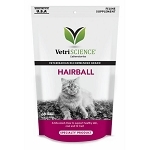 Hairball Aid for cats is a pleasant tasting gel that contains natural herbs and oils to help prevent hairballs and aids in the digestion of formed hairballs. 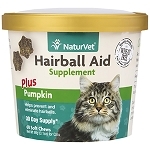 Hairball Aid by NaturVet is a natural hairball remedy for cats. This pleasant tasting gel contains herbs and oils to help prevent hairballs in cats and aids in the digestion of formed hairballs. 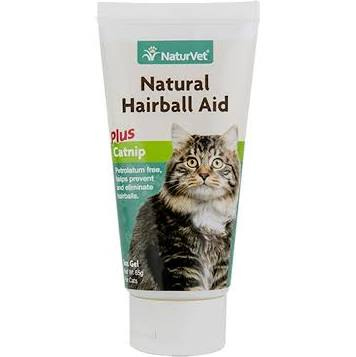 Hairball Aid does not contain petrolatum. Each tube contains 3 oz. gel. Soybean Oil, Hydrogenated Vegetable Oil, Cod Liver Oil, Flaxseed Oil, d-Alpha Tocopherol Acetate (Vitamin E), Sorbitol, Soy Protein, Chicken Flavor, Lecithin, Maple Flavor, Beeswax, Methylcellulose, Chamomile and Catnip. This product does not contain petrolatum. 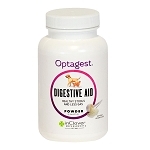 For cats and kittens over 4 weeks old: Give half the regular amount (1/4 teaspoon) once daily. To learn more, visit our webpage Hairball Treatments for Cats.